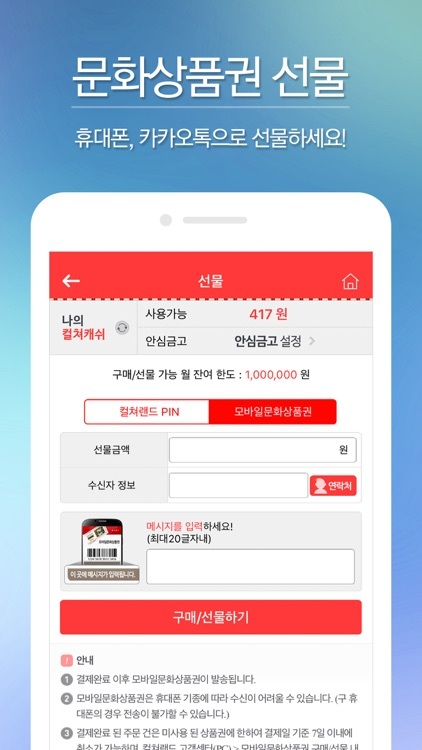 This app is in korean. 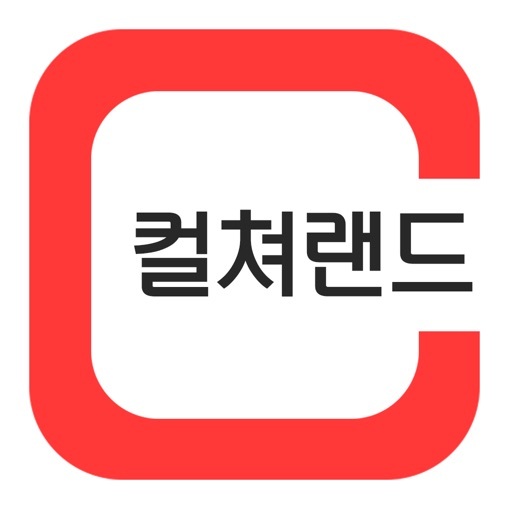 대한민국 대표 문화상품권의 서비스를 모바일에서 간편하게! 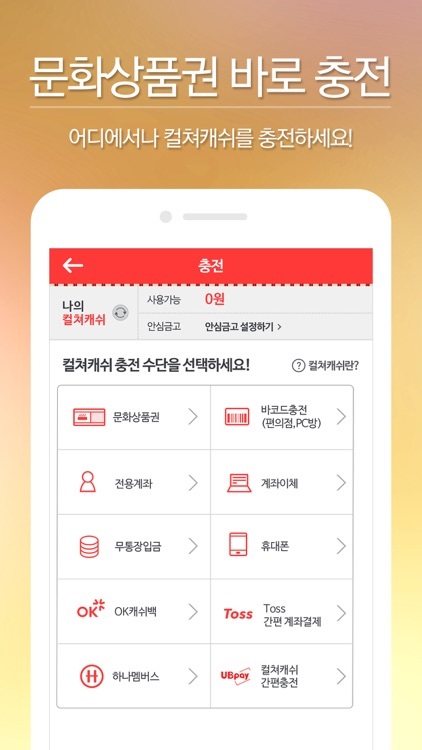 365일 즐거운 문화공간 컬쳐랜드의 모바일 서비스가 새로워졌습니다. 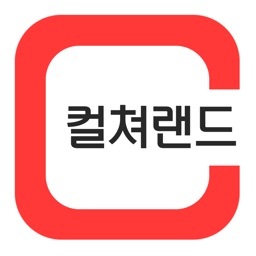 이제 모바일에서 편리하게 컬쳐랜드의 서비스를 이용하실 수 있습니다. 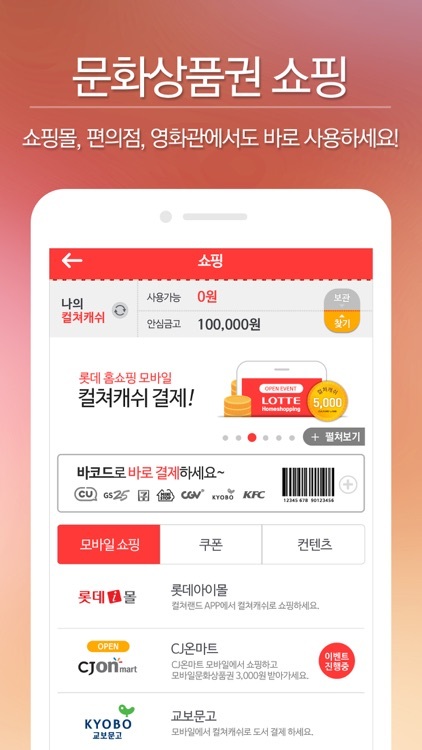 Korea's representative Culture voucher now avaible in your Mobile! 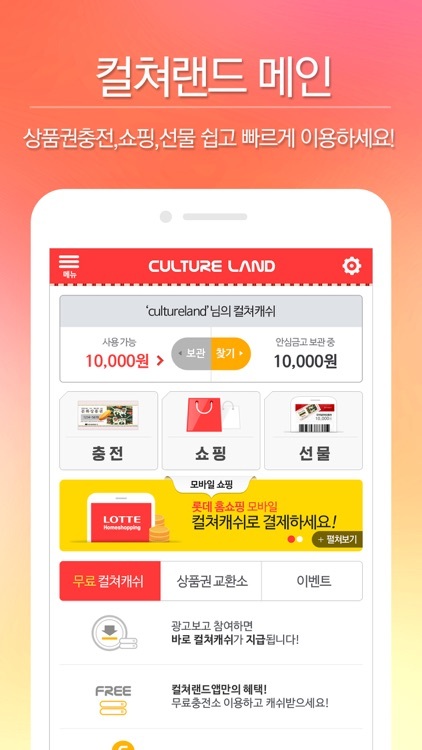 Happy culture place, Cultureland's renewed mobile service! Now try using our ever more convenient Cultureland's service through your mobile phone. 1. Purchasing E-coupons & Sending gifts. 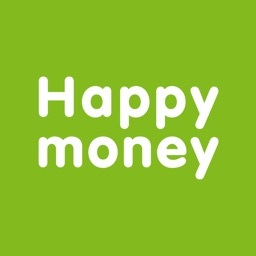 - Purchasing E-coupons / Giving gifts through Culture-Cash Functions. - Checking E-coupons you buy in your storage box.